Mobile marketing as an essential tool for company’s advertising strategies is not new. Without a mobile marketing strategy, companies would be losing a large percentage of the target audience. Therefore, mobile marketing should be a very well considered discipline by companies. We must be clear about what steps should be followed and, above all, what the tools on hand are for the proper development of great campaigns. Before starting with the use of different media to carry out outreach campaigns, companies must follow a set of basic routines to cement a successful marketing strategy. Mainly, it is necessary to know who the target audience is that a particular campaign aims to address. Obtaining all necessary data on the population sector they want to communicate with, the different corporations can know for sure through science what strategy will work best and what will be most effective channels to maximise consumer reaction. On the other hand, is also fundamental to have knowledge of your competition. By carefully observing the mobile marketing strategies of the major competitors you can know what actions are strongest when playing the mobile marketing game. Likewise, you can also learn from the mistakes committed by rival companies in their marketing issues and know what roads should not be taken. The mobile presence should build alongside a good presence online. It is therefore important that the company carries out all possible strategies to make themselves known on the Internet. Having a website, corporate profiles on major social networks and timely actions of SEM help the company become better known in cyberspace. Likewise, corporate accounts in social networks like FourSquare or Google geolocation Places- also are helpful. A strong online presence paves the way for corporations that want to achieve equally important relevance in the mobile world. Basically, these are the three pillars on which to build a future mobile marketing strategy. However, not all campaigns that we want to carry out have to have the sole and exclusive point of view of the company. Empathy in this type of communication is essential; if the client feels understood by certain firms, it will show more receptive behaviour to the content you use to interact with them. 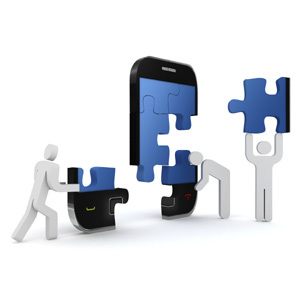 Therefore, responsible companies must also consider gaining experience as users of the mobile world. By interacting with their mobile devices at all levels, companies will know the difficulties that a user can face on their terminal to access certain applications or a mobile websites specifically. In this way, corporations can know exactly what problems they may face and what mistakes to avoid when implementing future a mobile marketing strategy. Mobile marketing is a discipline that should not be taken lightly. Therefore, if companies want mobile marketing campaigns to give the desired results they should pay special attention to its foundations and the steps that they are going to take. Failure strategies can leave any company out of one of the markets that generate more profits worldwide.